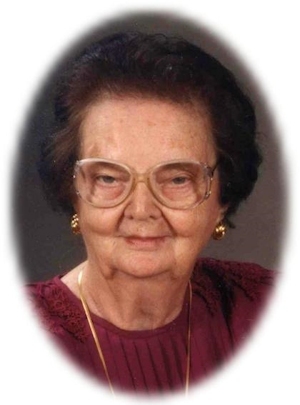 Obituary – Buffington, Marie (Jackson) « Perry High School Alumni Association, Inc.
Marie Buffington, 91, of Perry, Oklahoma was the daughter of Joseph Frank and Tranna Turner Jackson. She was born February 22, 1914 in Perry, Oklahoma and died on Wednesday, September 28, 2005 at Stillwater Medical Center in Stillwater, Oklahoma. Marie was a 1931 graduate of Perry High School. She and Ralph Buffington were married on July 21, 1933 in Enid, Oklahoma. She was a homemaker and a great cook. She enjoyed OU football, gardening and playing pitch. Her grandchildren were the love of her life. She was a member of the Jolly 12 Club, Perry Senior Citizens and Sumner Baptist Church. Survivors are three sons, Richard Buffington, of Perry, Oklahoma, Robert Buffington, of Broken Arrow, Oklahoma and Leslie Buffington, of Perry, Oklahoma; one daughter, Betty Skalenda, of Lebanon, Missouri; 10 grandchildren, 15 great-grandchildren and one great-great-grandchild. Marie was preceded in death by her husband, Ralph, on December 12, 1982; her parents and two sisters, Irene Pfrimmer and Frances Murphy.